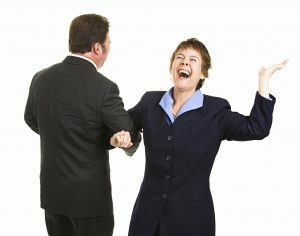 Salespeople who Sell To The Point experience more enjoyment when they're selling. Selling To The Point® teaches about the point of selling, which is buying. When salespeople Sell To The Point, their selling conversation is oriented around the customer's buying. It's a well-known fact that customers enjoy buying more than they enjoy being sold to. When the sales conversation is about buying, customers get in touch with their desires. Salespeople no longer feel selling is like fighting an uphill battle. Selling To The Point®, LLC-Sales Training and Consulting, trains salespeople how to help their customers buy. The result is a salesperson who's better able to make his or her customer's buying process more natural, easier, and enjoyable. The articles below describe how Selling To The Point® helps salespeople derive more enjoyment from being a sales professional. How Salespeople Can be "Slump Proof"